Anti-lock brakes were designed to help you control your car during adverse driving conditions. The ABS system keeps the wheels of your vehicle from locking up, preventing skids when the road is wet or icy. Prior to anti-lock brakes, a driver would have to pump the brakes manually to prevent this phenomenon. Anti-lock brakes sense when your vehicle is in a skid condition and pulse the brakes hundreds of times per minute, which is much quicker than any driver could react. Although ABS brakes also reduce the stopping distance of your vehicle, this is not the main purpose of having ABS brakes. 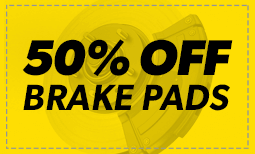 Get more information about anti-lock brakes at Meineke #418 in Fairview Heights, IL. ABS brakes were designed to prevent lock-ups and skids but also offer a few other benefits. Some insurance companies offer discounts for having this safety device because it has a track record of effectively preventing accidents. ABS is standard on today’s vehicles. Without this system on your vehicle, you may not get the premium resale value. Although the ABS system cost does add to the overall cost of your car, it’s worth the added safety and value. Talk to the technicians at Meineke #418 in Fairview Heights, IL for more information about ABS brakes. Vehicles equipped with an ABS brake system generally have a dashboard light associated with the system. Some older vehicles may use the check engine light. However, your car will start to show physical signs during ABS brake failure. It may require more effort to press down on the brake pedal or the pedal may actually be unresponsive. If your ABS brakes need service, you will still have control and use of your regular braking system. This is not a reason to ignore ABS brake service. Bring your vehicle to the trusted technicians at Meineke #418 in Fairview Heights, IL for repairs and maintenance. Sometimes a mechanical issue with your car pops up without warning, catching you completely off guard. With brakes, however, you often get a signal that trouble might be brewing. Have it checked out promptly by taking your car to Meineke #418 in Fairview Heights, IL. If you ignore the problem, you may soon face serious issues with your car and more expenses when the problems that develop must be fixed. Even more important are the safety risks when you wait too long to have faulty brakes repaired. The anti lock braking system is key to optimal vehicle safety. It is one of the most important components of your car, and any malfunction is a sign that you need to get it checked right away. While some ABS problems can be fixed with relative ease, others mean that it is time to replace the entire system. A major sign that you may need a new ABS is when your system kicks in randomly, even under normal driving conditions. This indicates a high likelihood that both the sensors and the control unit are malfunctioning. 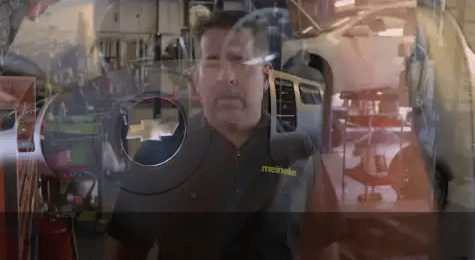 Learn more about ABS replacement or upgrade at Meineke #418 in Fairview Heights, IL. If you are thinking about replacing your anti lock system, a reputable service center can help you choose the best one for your car and help you ensure optimal function. Today’s manufacturers are continually improving sensitivity and reaction time in order to improve safety. As part of your brake’s mechanism, your ABS is affected by the type of brake fluid you use. High quality fluid is less prone to clogging your valves, so it is important to know where to buy brake fluid that is right for your system. Ask the professionals at Meineke #418 in Fairview Heights, IL about replacing and maintaining your ABS, as well as brake fluid cost.